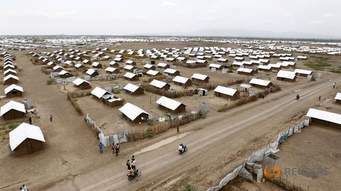 UN to Repatriate Refugees in Kakuma. The United Nation High Commissioner for refugees (UNHCR) have started registering and forceful repatriation of South Sudanese refugees who took refuged in Kakuma since the onset of south Sudan conflict in 2013. Speaking to an eye witness in Kakuma 4 Juma Kuwa a Nuba of Sudan, He confirmed to Bieh Telegraph that the team are on their mission. ” They are coming in group with files, house to house writing the names of the families” He said. Kuwa says, they are almost done with ‘Face Two’ a block in Kakuma. The motive behind this move is believed to shortages of food ration for refugees. Many are starving and many lives could possibly get endangered. Hence, UNHCR believe, if refugees could be move to neighbouring countries like Uganda and Ethiopia or Sudan, lives could be saved. However, Bieh Telegraph website is closely monitoring the development and shall inform its viewers and followers Asap! SPLM-IO Denied Appointing Madam Angelina. Press release: SPLM-IO Chapter in Uganda denounce the National Dialogue initiated by the team dispatch from Juba last week. Enter your email address to follow The Bieh Telegraph and receive notifications of new posts by email. Jikany Community in Kenya Disowned newly defected Gen.Gathoth Gatkuoth Hothnyang (Bipuar) and his group after the press held at Heron Hotel Nairobi, Kenya. The Nuer Tribe of South Sudan and Ethiopia.